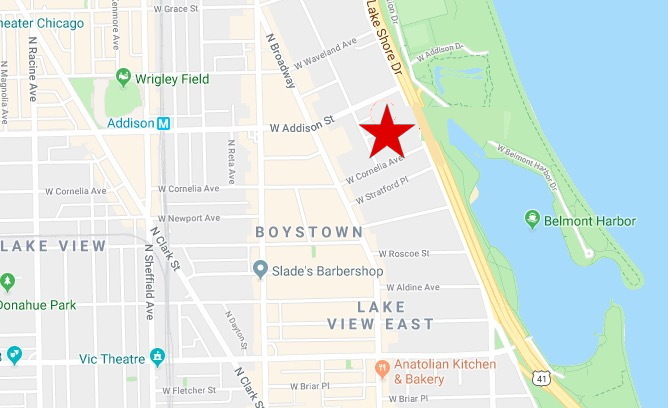 Masked offenders who robbed a Lakeview man near his Boystown-area early Monday were later taken into custody at the Wilson Red Line station by cops who followed pings from the victim’s cell phone, police said. Charges have been approved against one offender, according to a police spokesperson. Police said a 29-year-old man was in his car in the 500 block of West Brompton when an offender approached while wearing a ski mask and displaying a handgun. The offender demanded the victim’s phone and wallet, then fled westbound with a second man, according to reports. Town Hall District officers followed pings from the victim’s phone to the Addison Red Line station and then to the Wilson Red Line station where CTA held two trains while cops investigated. Shortly after 1 a.m., officers found a 17-year-old boy on a northbound train who matched the robbery offender’s description. During a field interview, cops found a BB gun, black ski mask, and the victim’s phone in the teen’s possession. He was taken into custody and was later identified by the victim, police said. Prosecutors late Monday morning approved one felony count of armed robbery with a dangerous weapon against the teen. No further information is available because the offender is a juvenile. A 20-year-old man who was with the teen was taken into custody for a warrant. He has not been charged in connection with the robbery.